We are proud suppliers of the fantastic range of Alton greenhouses. 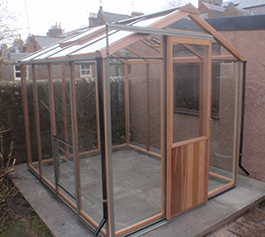 Alton Greenhouses are on of the oldest and best manufacturers of wooden greenhouse. Manufactured in Staffordshire. every piece of a Alton Wooden Greenhouse is made in house. In our 20+ years of fitting wooden greenhouses across Scotland, we have come to recognise Altons as some of the very best around.